Take Your Pick: Liar, Lunatic, or Lord? Did Jesus Know He Would Die on the Cross? Think for a minute how lonely and scared you would feel if you were separated from your parents for a long period of time. Now think about the possibility of being separated from your heavenly Father. Believe it or not, we can be separated from God! The Bible tells us in Isaiah 59:2 that sin separates us from God. So what can we do in order to avoid separation from our Creator? In the Old Testament we read about people offering animal sacrifices in order to seek forgiveness of their sins. The end of Leviticus 17:11 states that “it is the blood that makes atonement for the soul.” [Atonement is a payment for a sin.] But what about today? We don’t sacrifice bulls and goats anymore, so what blood atones for our sins? The blood of Jesus Christ! The writer of Hebrews described His wonderful gift this way: “For if the blood of bulls and goats and the ashes of a heifer, sprinkling the unclean, sanctifies for the purifying of the flesh, how much more shall the blood of Christ, who through the eternal Spirit offered Himself without spot to God, cleanse your conscience from dead works to serve the living God?” (9:13-14). And so the blood of Jesus was required to take away our sins. But that precious blood came at a cost. Think about what it feels like when you cut yourself. Now, imagine having spikes driven through your hands and feet. Jesus Christ suffered immense pain and agony. We know, for instance, that prior to His death He was beaten and scourged before He was nailed to the cross. Scourging was a beating that was delivered using a whip that had pieces of bone, metal, or glass knotted into the ends. Repetitive blows of that special whip often would break a person’s skin and cause major pain. 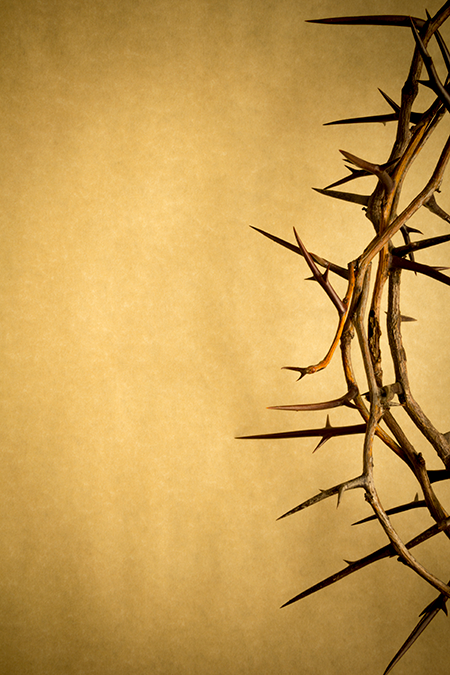 We also know that cruel people shoved a crown of thorns onto Jesus’ head in an effort to mock Him—and evidence suggests that these were not little thorns. Researchers have suggested that those thorns may have been over one inch long! In Luke 24:46, Jesus told His disciples: “Thus it is written, and thus it was necessary for the Christ to suffer and to rise from the dead the third day.” Jesus suffered! Could He have stopped His agonizing death? Most definitely—remember He is the Son of God. But He loved you and me so much that He went to that cross and bled for our sins! As long as we are alive, we need to be thankful to Jesus Christ for the wonderful gift of His precious blood, which keeps us from being separated from God.